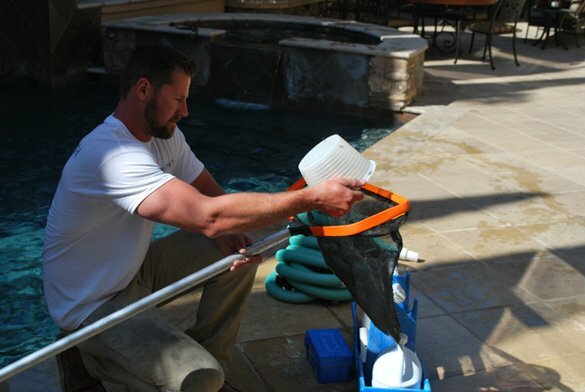 This portfolio is for one of our valued pool cleaning service customers in Carmel Valley, San Diego, 92130. 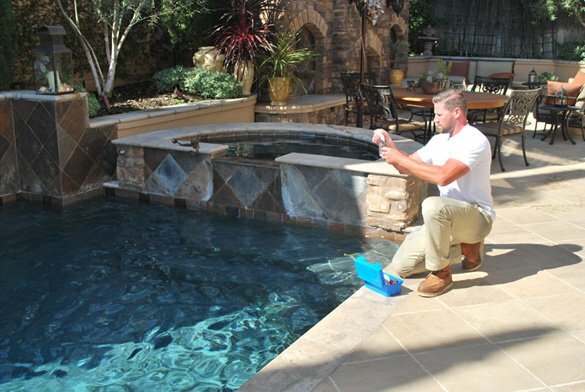 This swimming pool is a full service account with the standard chemical service and performed weekly on a scheduled day and time. The swimming pool has a raised attached spa that has a natural stone surrounding and a pebble pool finish. It also has a cascade water feature with a separate pool pump. 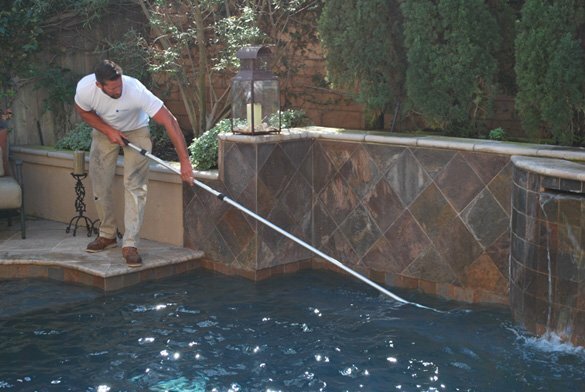 The water feature pump is turned on during our pool service for 15 minutes to allow fresh, balanced water to move through the plumbing. 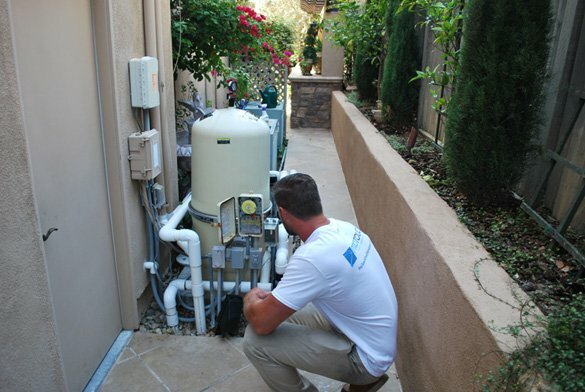 This greatly reduces the likelihood of algae forming in the pump housing and pipes. During the warmer months the pool solar with the Compool LX220 control warms the pool water and reduces the need to run the Pentair Mastertemp 300 pool heater. We have maintained this swimming pool and spa combo for some time and perform pool filter cleans on the FNS Plus 60 d.e. pool filter twice a year.